We are glad to announce that we have finally moved to a custom domain and now this blog is hosted on www.FromDev.com. Why we chose this domain name? If you are subscribed to our feeds then you need not change anything in your subscription since we have updated the feedburner for flowing the new feeds in same feed URLs. If you have bookmarked some of our posts then a blogger redirect page will be displayed on visiting the link and the visitor needs to select "Yes" to go to the same post. We didn't find a better way then this to keep the old bookmarks and links working since we are still using blogger.com. If you have any suggestions to improve on this please let us know. We are trying to do some more improvements in the look and feel & content of this blog, below are few things which we are looking to change. Any inputs and suggestions will be appreciated. 2. A unique and beautiful logo for the new site. 3. Links/Label optimization for better readability. 4. Add more authors to get more frequent quality content. The target is to post not more then once a week or so. If anyone has a blog where you dont post very frequently then you can think about becoming an author with us on revenue sharing model. Finally the long awaited Glassfish v3 road-map has been released by Oracle. There are many things clarified in this road-map. Good news is about "Centralized clustering" which will be part of v3. Below are some highlights from the details of road-map. What will happen to high availability and clustering capabilities of GlassFish, will they stay open source and included in the download bits? Yes, centralized admin and clustering will be in the open source version. Will the community edition of GlassFish remain full featured? Yes, the Open Source version is fully featured, including full JavaEE 6 support (not just the Web Profile) and things like administration and clustering. Shoal-based, in-memory replication is part of this. The Oracle distribution of GlassFish is just the Open Source version + branding elements + Closed-Source AddOns. What is the target date for 3.1? The target date is later in 2010. We can't give exact date but we do have to ship the 3.0.1 and 2.1.2 ("100 day") releases first. Is there any indication if GlassFish 4 will remain Open Source? Yes, GlassFish 4 will remain Open Source. My previous post(Glassfish v3 may never support clustering) was a deep concern about Glassfish v3 Clustering. Most of my fellow developers had shown same concern about Glassfish v3 future not being clear. I am sure after official release of this road-map it relaxes everyone and stops all speculations. Thanks Nazrul for keeping me informed about the GF3 road-map update. This does not sound good! The Oracle takeover of Sun Microsystem can be painful for people who have used Glassfish as their application server thinking its open source & with best support for Java & JEE features. As I can collect from "Oracle + Sun: Application Server webcasts" and other resources, Glassfish v3 will probably never have centralized clustering feature available. You can use mod_jk today with GlassFish v3 (but no centralized admin/nodeagent yet & probably never). Glassfish will be for productive and agile development. Weblogic is the availabillity and scalability solution. Therefore the v2 was the last GF with clustering facilities. The centralized clustering feature was supported in v2 and therefore Glassfish v2 was the last Glassfish with clustering facilities. The complete development to production staging process will be addressed by upcoming Oracle solutions. JDeveloper and/or OEPE will have plugins/support for automatic migration of Glassfish apps to Weblogic. The Weblogic split deployment directory structure will also be enhanced with staging features. There will probably also be new maven plugins supporting dev and productive builds with Glassfish and Weblogic. while another group of technology savvy/capable organizations (e.g. Google, and Yahoo), going the way of stringing together best of breed open source solutions already out there. These solutions may be run on a grid of hundreds/thousands of commodity hardware or on some cloud platform. In fact, now I can see more areas/avenues need to be addressed by open source community. So fellow developers, I think its time to start contributing more to open source. BTW, Despite so many feature support on Glassfish v2 and other app servers, "Tomcat" is still my first love and will remain forever :). Thanks to Jakarta & Apache Open source developers. This is a useful jQuery utility that shows the number of characters left in a input field(text/textarea). This is a simple HTML page which has a textarea input field and a span which keeps showing the number of characters left as you are typing. Download code here or copy this code and save this in a file as TextCounterExample.html extension. Download code here or copy this code and save the file as textcounter.js in the same directory where you have html file. * Character Counter for inputs and text areas showing characters left. //maximum limit of characters allowed. Download the jQuery file used in this example from Download. Or download latest version of jQuery from http://jquery.com and save it as jquery.js file in same directory where you have html file. Now open the TextCounterExample.html page in a browser and the counter should be updating as you type. 4. Try the live demo of same code below. Type in some character in the text area and see the character counter being updated as you type. The maximum allowed characters are 240 in this demo, and can be easily configured. The demo version max limit value is set to 240 characters you can change this limit easily. For updating the maximum limit you can edit the line:7 in textcounter.js file. A serious vulnerability in SSL v3 and previous versions of SSL protocol has been identified and made public on November 4, 2009. This makes every SSL site vulnerable to serious man-in-middle (MITM) attacks related to renegotiation. This vulnerability is due to the design of "session resumption" feature of SSL protocol. This attack has been demonstrated against recent versions of Apache httpd and Microsoft IIS, with a variety of clients. Most existing installations which currently rely on client certificates for authentication appear to be vulnerable. Shared hosting environments which allow untrusted customers served from the same IP to configure any aspect of their encryption parameters appear to be vulnerable. Most or all server applications built on TLS(Transport Layer Security) implementations which honor client-initiated renegotiation are vulnerable. Early research suggests that digital certificates embedded on smart cards are equally vulnerable to the client certificate authentication attacks. Though MITM attacks are very common on HTTP, these could also be done over an https connection using the same technique; the only difference consists in the establishment of two independent SSL sessions, one over each TCP connection. The browser sets a SSL connection with the attacker, and the attacker establishes another SSL connection with the web server. In general the browser warns the user that the digital certificate used is not valid, but the user may ignore the warning because he doesn’t understand the threat. In some specific contexts it’s possible that the warning doesn’t appear, as for example, when the Server certificate is compromised by the attacker or when the attacker certificate is signed by a trusted CA and the CN is the same of the original web site. First of all judging from recent experience, it is anticipated that the problem domain will continue to evolve in the coming weeks. Therefore there is no clear fool-proof solution suggested by researchers yet. Mitigation of the HTTPS client certificate attacks is difficult and involves tradeoffs. One scenario for mitigation involves web developers reorganizing their sites to strictly separate areas of each site into zones based on their differing requirements for authentication, with zones being served from distinct IP addresses. One can imagine the high costs of such a transition, although there are ways to partially or fully automate this separation. Other mitigations involve protocol changes, but again, they generally have their own issues.In some cases, compatibility with old client software is broken completely. The right long-term solution to the renegotiation problem involves a much more careful binding between TLS(Transport Layer Security) and upper protocol layers. This could be handled in a variety of ways, including breaking and backwards-compatible changes. Few blog comments in recent past have mentioned about an issue with the comment form in this blog. I am able to reproduce this issue from my Firefox 3.5.3. The issue seems to be reproducible only if I am not already logged in to my google account and try to enter comment. The issue is reproducible on all these blogspot blogs where comments are embeded e.g. Here are the list of issues when using the comment form text area. 1. Home/End keys don't work. 2. Arrow keys dont work. 3. Cannot do select all using "Ctrl+A"
4. Right click menu does not show any copy paste options. 5. Can not copy any text inside the comment text box. 6. Can not paste any text from outside to the comment text box. 1. I have observed, this issue gets resolved as soon as you log in to google account before starting to enter comment. 2. I have seen this issue only on the Firefox browser, IE6.0 does not have any issue even if I am trying to enter comment without login to google account. So you may want to try IE until this issue is resolved. I came across this link on google Firefox Copy & Paste Bug , which also mentions about the copy/paste issue due to two reasons. First reason was a bug in Firefox which was resolved long back. Second reason is a malware. In this post they have mentioned about a Malware which could be causing this, but I didn't see a matching Malware on my system and I am still able to reproduce this issue on my Firefox browser. So there is a possibility that either Malware removal details may have changed or the old bug is re-introduced in Firefox recent releases. If its a bug then it seems to be a very old bug which was resolved long back. Dear blog readers, till I figure out the solution for this issue please try to use already logged in google account in case you want to do copy paste and other keyboard activities in comment textarea. If possible, Please post your comments/suggestions from different browsers and let me know if it works fine. Readers,Bloggers please post your suggestions/ideas to resolve this issue on my blog as this is annoying to our blog readers and many people are not leaving any comment just because of this issue/bug. Piwik is a downloadable, open source (GPL licensed) web analytics software. It provides you with detailed reports on your website visitors: the search engines and keywords they used, the language they speak, your popular pages and so much more. Piwik is a web analytics tool which can be self hosted to store your own web sites statistics and can be used as the best available alternative to Google Analytics. It has a rich plugin repository and provides hooks in its API to build new plugins, which can be used to develop your own specific need analytics on top of it. I am a Java developer and I was thinking it will take more time to install as Piwik technology stack is PHP + MySQL. To my surprise, doing the setup of this tool was so easy I couldn't imagine. In fact, It was much easier then many complex open source application installations. You need to have at least PHP5.1, which can be downloaded from PHP Downloads Page. If you on Linux then its should be already available as upgrade package directly at OS level. So your System admin should be able to do that easily. Once you have installed the PHP, you will be able to launch the Piwik application just by extracting the zip file in public_html folder in your home directory. This comes up with a wizard which will show you if all required components are installed properly or not and you can complete the installation by simply following the wizard step by step. The best thing I liked about installation wizard is it suggests you the things which are missing instead of throwing some crazy error on browser. Piwik dashboard is highly configurable. Its widget based and you can add,remove your widgets as per your needs. Most of the widgets have view options like Pie chart, Line graph or Bar graph to see the graphical representation of same data. It also allows you to export the graph and other data in the form of Image, CSV, XML, JSON & PHP. 'you can create an infinite number of users and websites to track. In ideal world you would not need infinite users, but I have used the user management console of Piwik and its very easy to use. The permission system in Piwik is really simple but powerful. Its very easy to manage from a small number of websites and users to hundreds of websites and thousands of users. You can also use the Piwik UsersManager API to add, remove, edit users and their permissions. All Piwik features are developed as plugins, which means you can easily add new plugins built by the community to customize your own Piwik installation. If you have specific needs then you can build a plugin that processes data in a different way for your site. I am not a PHP developer but I have seen this community is very enthusiastic and many good plugins are available already. There are dozens of free and paid web analytics solutions available in the market, but all of them require you to store the data at their end. One of the main advantages of Piwik is that you are in control of the statistics data you have to store. Unlike other services (like Google Analytics), you host Piwik on your own server. The installation process is very simple, and to the end user Piwik is just as simple to use and understand as Google analytics. Piwik is installed on your server, which gives you full control over your data. You can access the data easily via the Piwik API. User who have good understanding of SQL can also run manual queries on the MYSQL database in order to build advanced reports. Last but not the least: as you own your data, you don't make it available to third-party companies which may reuse or sell this data for other purposes. This approach is much better as compared to your web application itself taking care of logging the statistics data due to following reasons. - This enables you to make site statistics collection available for multiple web application by easily integrating. - It make more sense to have site statistics at one place as you can manage the data well. - Though it wont be required always but you have an alternative of using Piwik API for you specific needs. - You application is losely coupled so its always open to do its own very specific statistics logging if needed. You can also widgetize the content and show it on your website. For example if you want to show the live users on your website you can use the "Live" widget for Live Visitors! Zip code validation for any country is most common validation required for any web site where you have address input. Here is the handy regular expressions, which can be used for Zip/Postal code validation on your web page. For India Postal code validation Use below regular Expression to validate the zip/postal code in your form. 2. If you have a common form for France/Italy/Germany and India Address entry then use below Regular expression, which is going to allow France/Italy/Germany Zip code and India Postal Code in same field. In case you have not observed this, the regular expression for validating both Zip code and Postal code is a OR condition expression combining the two separate regular expressions for US Zip code and Canada Postal code with a pipe (|) separator. Validate Zip Postal Code using regular expressions, block invalid zip code with regular expression. Recently came across a project, which had used Adobe Flash technology. Me being new to it had to do a lot of reading about Flash. Flash in this project is used to create a really good looking user interface with cool looking menu options. We had to buy license for the Flash developer tools and the licenses are not cheap. As a developer I am really not excited to see use of such a technology in a web based application. When I look around the World Wide Web and browse several Flash sites it doesn't convince me to continue using it in future. I don't find anything so cool in Flash which can't be done in a simple HTML/CSS and Client side scripting. Well this is true and and many of you won't disagree that there is not anything significant which can't be done using HTML,CSS & Client side Script combination. Why pay for something when there is a free alternative? Nothing in Flash technology comes to you for free. The developer tools are costly and require special training. Where as the open technology has it all freely available for you. 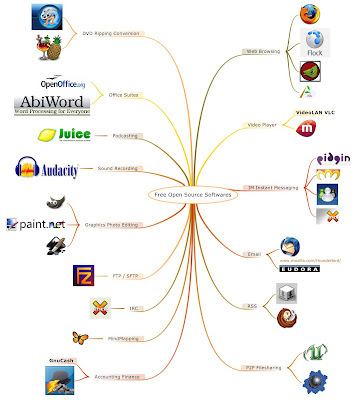 There are many free editors available to improve productivity of developers. The open source community is gaining more and more encouragement and its growing day by day. So I would always stick to my own people, the great open source community with world wide contributions. Finding a Flash developer is difficult as its a proprietary technology and requires developers who have really worked on it before. Where as the HTML CSS is a something even a college graduate can start programming in without much of a training, so recruiting them is not difficult at all. In case you are a manager my advise to you would be to stay away from flash technology just because its going to be a nightmare to deal with resources. I know abstraction is a good thing for making life easier but also having freedom of knowing whats behind the scene is also necessary in my opinion, as it opens more options for us to think in terms of designing a system. I don't feel like using something which never gives me freedom to know what its doing behind the scene. There is so many things Flash does internally and as a developer I will not have any clue about how its doing it. World Wide Web is suppose to be platform/OS independent, and I would not want to block my user base just because they do not use Windows. Here is a snapshot of recent Internet Explorer Crash due to Flash 10 on my windows system. Most of the flash sites only handle a standard resolution (usually 800X600). I have a screen that is four times that size, but most Flash sites don’t take advantage of it. HTML/CSS has a lot of easy to use capabilities to take advantage of more screen real state. Browser provides you a forward and backward button as it can help you navigate back and forth without being defendant on sites navigation. If you use Flash you loose the forward/back browser buttons and history. Bookmarks don’t work either. Which can be a benefit only in few cases but most of the times if you are over the World Wide Web you would want to give the freedom to navigate back and forth between pages. Flash sites are slow to load for the first time and are almost impossible to use under dial-up connections. You won't observe much of performance hit in case you have a broadband connection but if its dial up, I am sure you will prefer to stay away from any site which has flash. If your site has static contents then using Flash would probably give you the worst performance. I will not want to limit my website audience to only broadband users. Technology is growing but most of the developing countries still don't have a good broadband network. Well, there could be good and bad part to it. At the side of copyright violation I would say it would make sense to keep something not copy-able. But for most of the places where you would not want to limit someone from just saving the information for his own future reference. Flash disables you to use the regular browser functionality which otherwise could be enabled like the right click menu with various options. Though not everyone would be interested to do this except for a web developer, the view source doesn't get you any information about the page. There are many sites which start playing audio visual advertisements running from nowhere using Flash. Have you ever come across the advertisement in loud voice "Congratulations!! you have been selected to win a Free iPod"
I just can't stand this type of advertisement anymore. Any flash support on browser makes the end user helpless. These advertisements are played in background and the only way I found to get rid of these advertisements is to close all browser windows and open again. Which can be very annoying experience for anyone. If you still find some reasons for using Flash let me know, I would be interested to know them. I am sure there must be lot many people who would have some more reasons to share. Please feel free to share your thoughts & leave a comment.